The Japanese railway system is one of the most messed-up and complicated subway systems in the world. Of course, I did my research before leaving for Japan, but I was appalled by the lack of useful resources on the web for travelers like myself. So today I'll be writing a little bit on what I know about the train system and the mode of transportation available for travelers, with an emphasis on the JR pass. Okay, now you've got your air ticket ready. You've got your itinerary and list of places-to-visit prepared. Then something hit you: how do you go to those places without burning a hole in your pocket? Who needs a JR pass? Firstly, you have to first look at your trip: if you are going to visit multiple cities, for instance Tokyo--Kyoto--Nagoya--Osaka, etc, then it's best to get a JR pass. But if you're only staying in a single city, for instance Kyoto, for a large part of your visit then JR pass might not be for you. JR pass costs about USD $238 + $16 courier fee (when I bought it in March 2015). It's only for non-Japanese who will be visiting Japan on a travel visa. Check the eligibility for JR pass here. The prices vary according to different sites and the length of the pass itself. It is not sold in Japan and hence you have to get it before embarking on your journey. After you have completed the transaction, the mail containing the exchange coupon should arrive within a week. 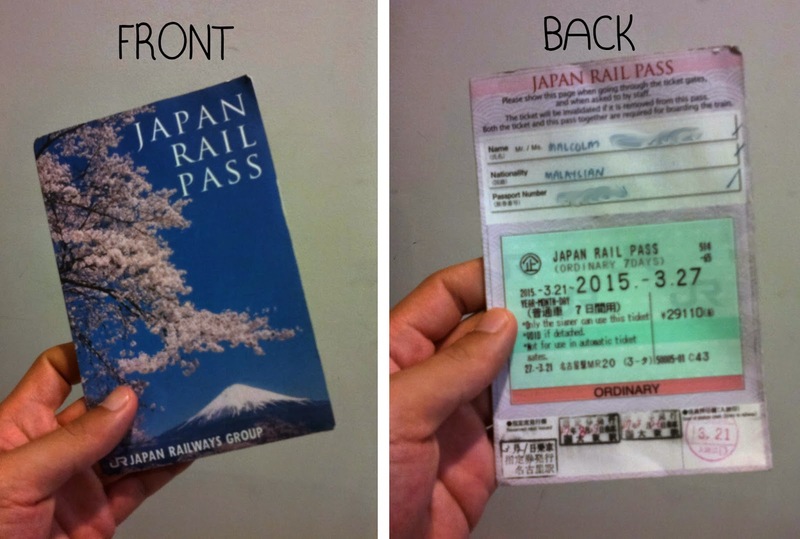 You have to bring all the documents and coupons in the mail to Japan in exchange for the real JR pass. This is the real JR pass. How to use JR pass? Now this is where it starts to get complicated. If you are going to visit multiple cities, it's best to take the bullet train i.e. shinkansen. It's the fastest and most punctual train system in the world, and it's bloody expensive, too. A trip from Kyoto to Tokyo takes about 2.5 hours on a shinkansen and costs about USD $115, which is nearly half the price of the pass itself. In order to use JR pass on a shinkansen, you will have to go to the JR office (can be found in all major stations like Nagoya, Osaka, Tokyo and Kyoto) and make a reservation. It's good to make a reservation several days before your trip, and you may cancel your reservation (for free) anytime you want. During my stay in Kyoto I cancelled my reservation trice, and made a final reservation two hours prior to departing and still got a decent seat. One more thing: if you refer to the train schedule in hyperdia.com, you will see that there's this thing called seat fee and base fare. It's unique to shinkansen, and what it means is that you pay for the train to take you from Kyoto to Tokyo (base fare), and it also means you'll have to stand in the train (in seatless car) throughout the trip, or you could pay an extra cost to get a seat (seat fee) in cars with seats and thus a more comfortable ride from Kyoto to Tokyo. So if you have a JR pass, book a seat. Don't torture yourself by standing. Okay, now you know that using a JR pass to get from a city to another is a fairly good deal. But that's not all. I will now talk a bit on the rail system in all the cities I've visited in Japan. For all the cities, there are two categories of trains: private subway and JR subway (JR lines). JR pass, in addition to allowing you to board the shinkansen, also allows you to take the JR lines for free: just show your JR pass to the station master at the entrance and tell him which station you want to go. JR pass, however, is not omnipotent, because it cannot be used on private lines. And some places, for instance the Tsukiji Fish Market and Sensoji Temple, are accessible only via private subway lines. It is therefore important to check whether the destination of your choice is reachable via JR lines. For my case, however, most of the places (Shibuya, Shinjuku, Akihabara) I wanted to go were reachable via JR lines. 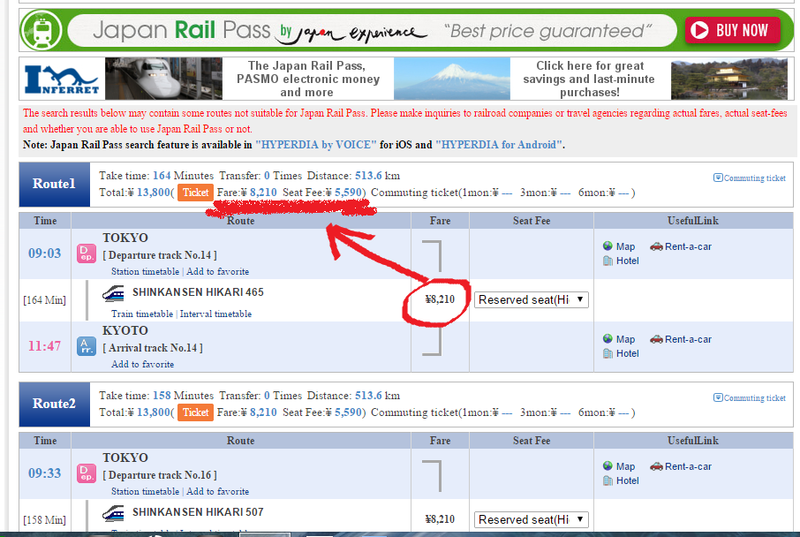 With each trip costs about 230 yen, you will soon find that JR pass is such a money saver. Unlike Tokyo, the best way to travel in Kyoto is actually by bus. 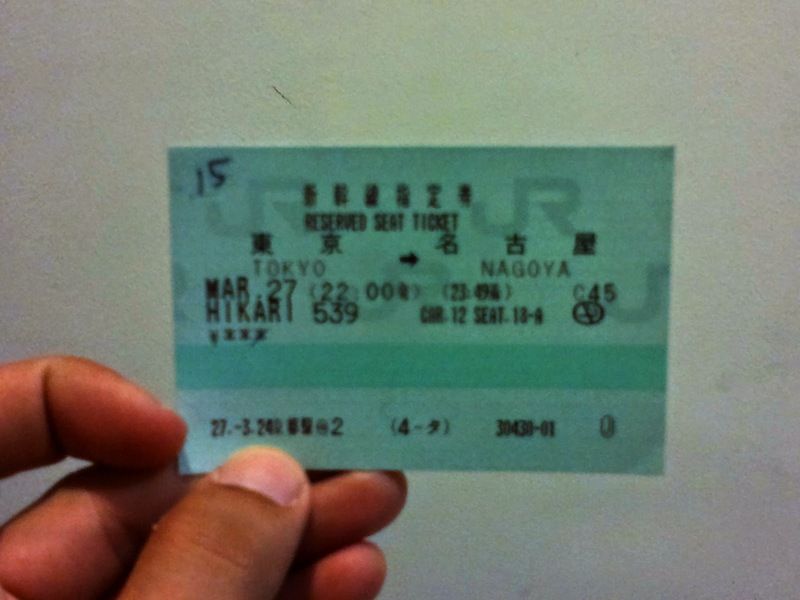 When I was in Kyoto I bought the 1-day unlimited bus pass for 500 yen, and it brought me to all the major attractions. It's slower than subway, but you get to see more things because trains often travel underground and there's not much to see down there in the tunnel. 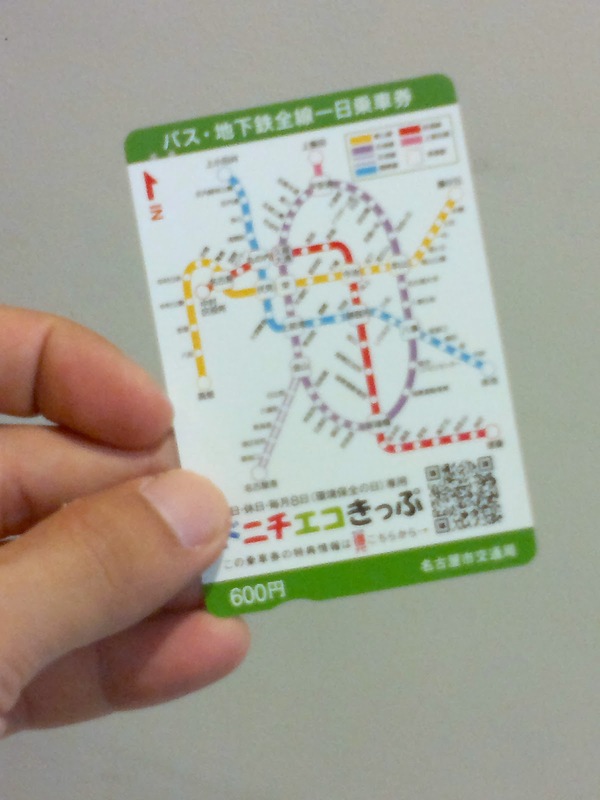 In Nagoya, you can purchase the 1-day unlimited subway + bus pass for 600 yen. It can be very useful because it gives you addition discount on entry fees into some attractions. In Osaka, most of the places are also accessible by JR lines, with the exception of the Kaiyuken. For the aquarium, you can get a discounted entry pass + unlimited 1 day subway(certain subway only) pass for only 2550 yen. I walked from the Nara train station to Todaiji Temple. It only took me 20 minutes to reach the temple. Save the money for food, my friend. So, there you go guys, I hope you find this helpful. Leave a comment in the comment section if you have any question. Enjoy your stay in Japan! I love the Japan!! Our friends told us about Holland Pass so we bought it online. It took a moment to figure out what the Silver and Gold tickets mean, but eventually it totally fitted our planning. The cheese tasting was lovely and our children enjoyed the Euromast in Rotterdam.